The strike by nearly 3,000 community health or Accredited Social Health Activist (ASHA) workers which began nearly a week ago in Delhi, is continuing as the authorities show no sign of responding. Sources in the government said that due to a lack of funds, it was tough to meet the demands of the ASHA workers. Nearly 3,000 ASHA workers went on strike last weekend, demanding better wages and other monetary facilities. Demonstrating under the umbrella organisation Delhi ASHA Workers Association (DAWA), the workers said that they wanted compensation policies similar to states like Tripura and West Bengal. ASHA is an incentive-based payment system, depending on the work delivered. This incentive, based on individual tasks, is paid by the Central government. In addition, the states are free to formulate their own policies. The Tripura government pays Rs 3,500 per month over and above the incentives. The Karnataka government has a policy of matching incentives. It gives the same amount as the Central government to each ASHA worker, thus doubling their payment. "The West Bengal government gives an additional Rs 1,500, while Rajasthan gives Rs 1,450 and Sikkim Rs 3,000. There is no such policy in Delhi. An ASHA worker gets only as much as the Central government gives. Thus, some of them get as low as Rs 1,000 a month,” Harish Tyagi, who holds the post of adviser in DAWA, told Down To Earth. Yet some states have the provision of financing cell phones and their bills while others give dresses, stationery and transport allowance. 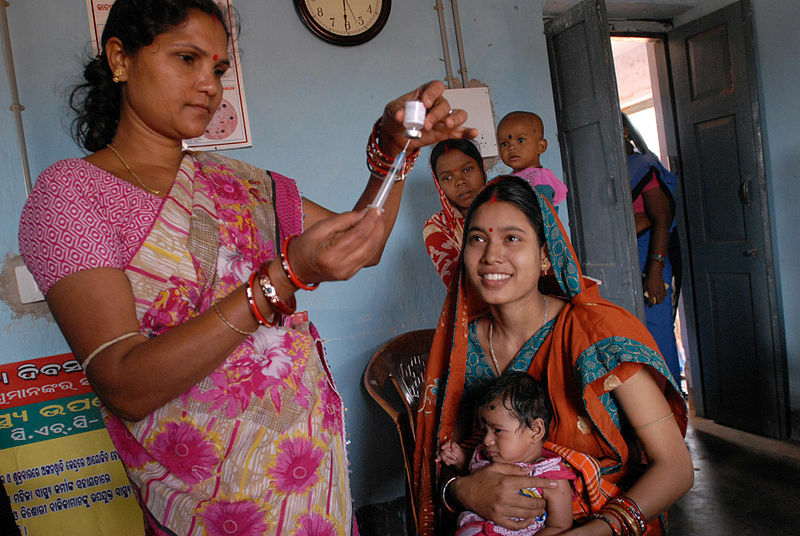 The Union ministry gives Rs 20 per vaccination and Rs 200 per institutional delivery to ASHAs. "An ASHA takes care of a woman for nine months during pregnancy. Still she gets only Rs 200. This is highly exploitative," said Tyagi. He added that most of the time, ASHA has to bear the cost of photocopies and notebooks in Delhi. "We are demanding that the Delhi government fix a permanent salary for ASHA workers. In case they can't, then models like that of Karnataka can be tried. We also demand basic amount for photo copies and other such materials to be given. Transport allowance should also be given," said Tyagi.